The performance of an company depends both on its technological expertise and its managerial and organizational effectiveness. Production management is an important part of the process for manufacturing firms. The organization of production relies in general on the implementation of a certain number of basic functions, among which the scheduling function plays an essential role. This title presents recently developed methods for resolving scheduling issues. 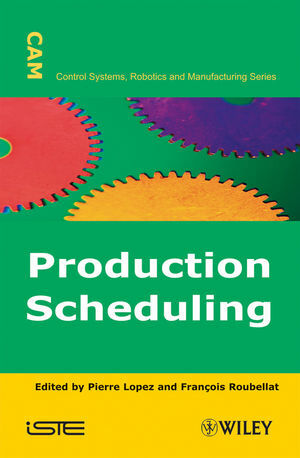 The basic concepts and the methods of production scheduling are introduced and advanced techniques are discussed, providing readers with a comprehensive and accessible guide to employing this process. Pierre Lopez is a researcher within the Laboratory for Analysis and Architecture of Systems at the French National Center for Scientific Research (LAAS-CNRS). He is also head of the MOGISA group (Modeling, Optimization and Integrated Management of Systems of Activities). François Roubellat is also a researcher within LAAS-CNRS. His research is focused on Decision Support Systems for activity scheduling with resource constraints.